My favorite part of my job is when I get to collaborate with my boss and branding specialist for look book shoots. It’s so much fun coming up with a vision and styling everything together to bring it to life! I think styling is something I definitely want to move towards in my professional career, but I’m not sure how to really go about that quite yet. How about you? Are you excited to wear shorts and tees, or do you miss your sweaters and beanies like me? such a pretty lookbook, you’ll make a great stylist 🙂 by chance do you happen to remember who makes the cream coloured lace romper? I sort of love it!! 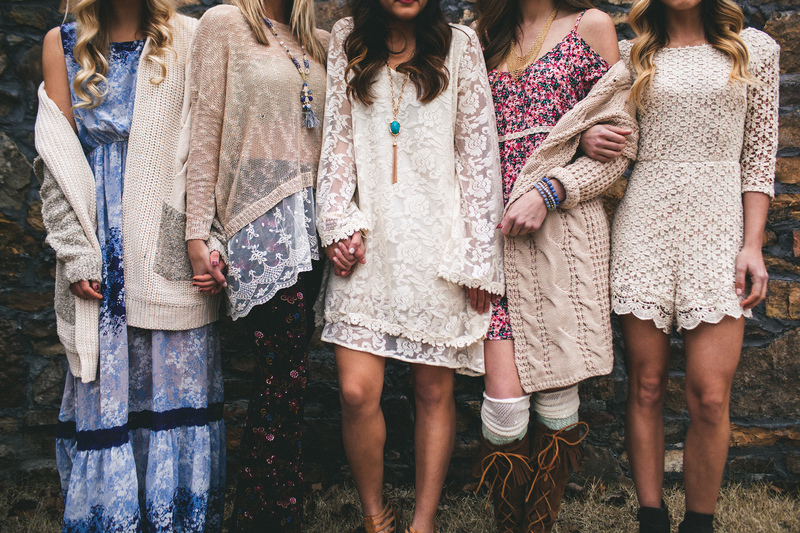 I just love those boho dresses. So easy to wear and it looks absolutely amazing on all the girls. Amazing post. Thanks Kia! They were super cute and flowy! Wow!!! Such gorgeous photos. 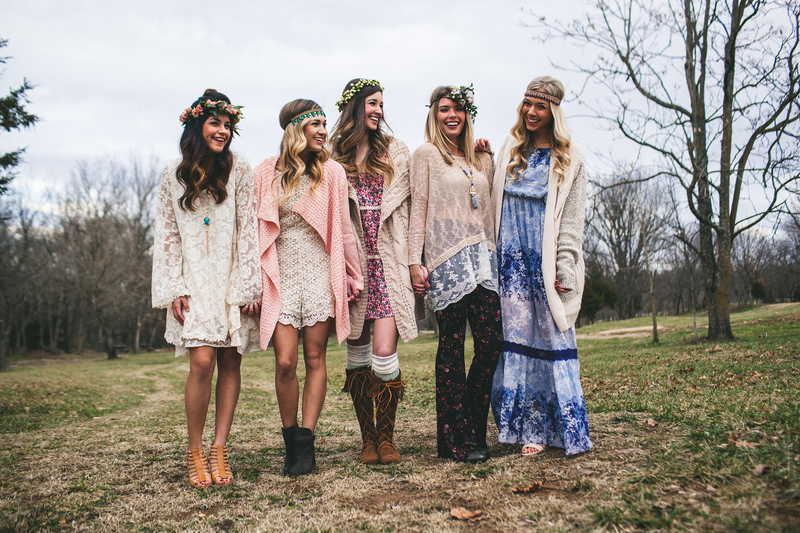 I love the boho vibe ❤ I want all those outfits! haha. Love these beautiful boho vibes! i am loving this shoot! I love the look and the feel of the overall photographs. Oh, these photos are just stunning! I’m so jealous of you, your job is awesome! Happy Friday, love!This is so beautiful – OMG! 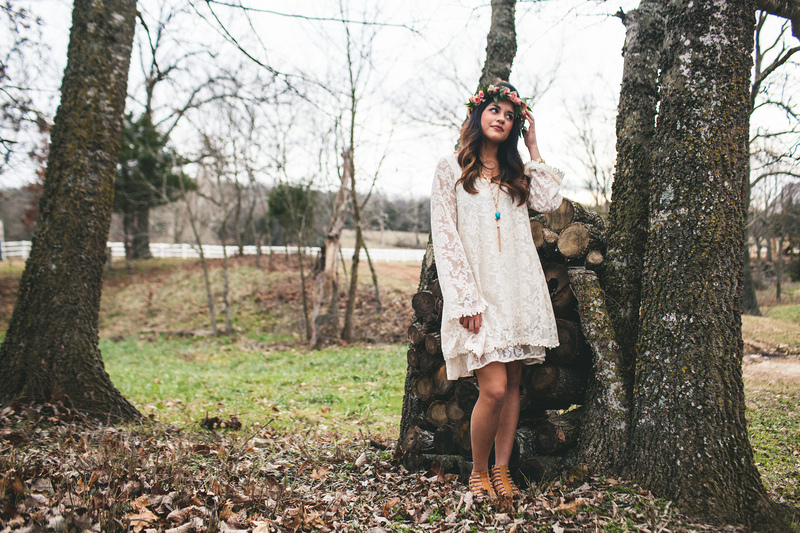 The boho-chic trend is SO in right now and we’re loving these outfits. 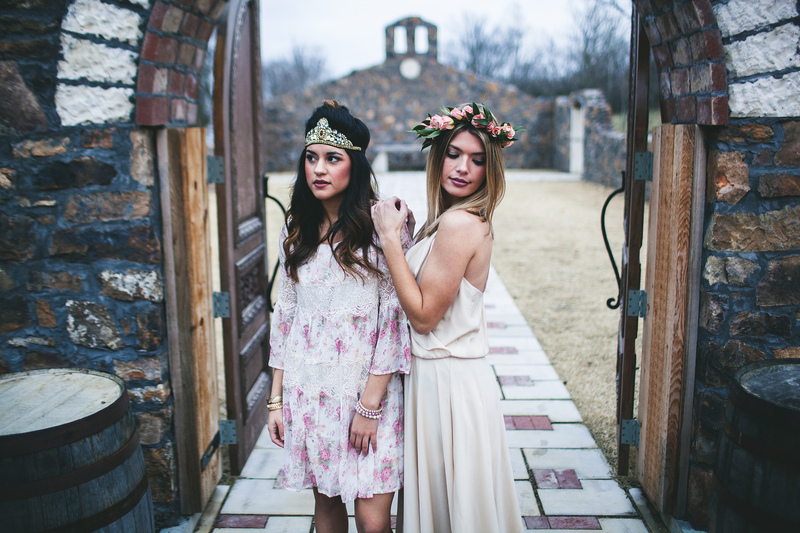 Also, obsessed with those floral headbands. We’re excited for the warmth because it’s been SO COLD here in Boston! Thanks Laura! It was such a fun shoot to work on! These photos are way too gorgeous! We’re excited for warm weather, but we can never say no to a cozy day inside with sweaters and hot chocolate! Love this shoot! So ethereal and boho. I love this! I just said the other night that I sorta am missing the sweet fall feeling! Fabulous post!